You have undoubtedly read and heard much about dermal fillers, such as JUVEDERM, and injectables such as Botox. Both are excellent treatments for skin rejuvenation and as a way to restore a youthful look. But they are different. At Williamsburg Plastic Surgery, you are in good hands. Dr. Guarnieri and his staff are highly trained in the use of both dermal fillers and injectables. 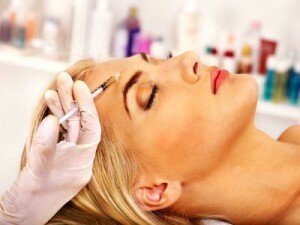 Dermal fillers plump the hollow areas of your face, especially those areas where fine lines and wrinkles have surfaced. It’s important not to confuse dermal fillers with Botox. Although both procedures involve injections, Botox is most often injected around the forehead and wrinkles and “crow’s feet” around the eyes to stop muscle movement that results in wrinkles. Dermal fillers can improve the texture of the skin or can sculpt certain facial areas, such as your lips or cheeks. Botox does not plump and smooth your skin. Many of Dr. Guarneri’s patients opt for a combination of Botox and dermal fillers, as together they can result in a remarkably younger-looking face. Evaluate your skin and facial appearance, taking into consideration your facial features and skin tone. Areas for treatment will be marked to serve as guide during the actual treatment. Prepare your skin. Before injecting the filler, the targeted areas will be cleansed with an antibacterial agent. An anesthetic ointment or local anesthesia may be administered to keep you as comfortable as possible throughout the procedure. Inject the filler. Injections are done with tiny needles and take just a few moments for each targeted site. The entire procedure usually takes 15 minutes to an hour, depending on the extent of the area being treated. Discuss your recovery. Once the filler has been administered, your skin is cleansed again to remove any markings. While you may feel some discomfort, swelling, or tenderness in the area, ice packs and pain medications usually do the trick. Spring is just around the corner! Call to book a consultation appointment with Dr. Guarnieri, today, for the fresh, youthful skin you deserve: (757) 345-2275.